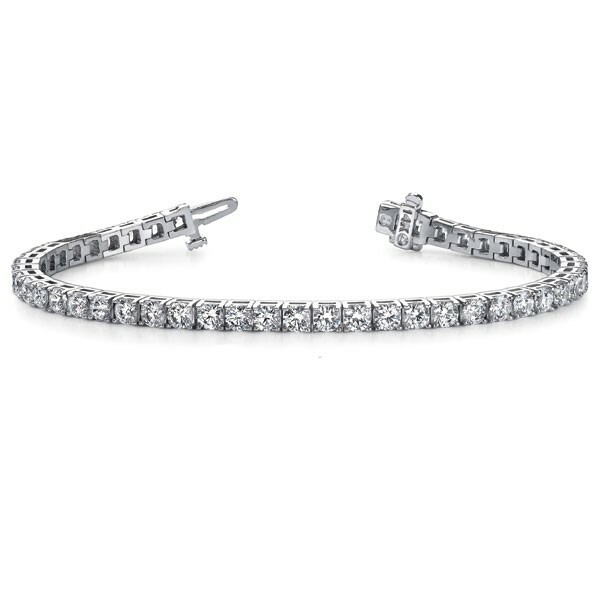 This14k white gold diamond tennis bracelet is 3MM wide and contains F-G color, VS2-SI1 clarity round brilliant diamonds totaling 3.00ctw. The bracelet is available as is, however, please contact us for any customization requests. All finished pieces will ship within 7 - 10 business days of placing your order. For rush orders, please contact us or include comments in the notes section of the check-out process.